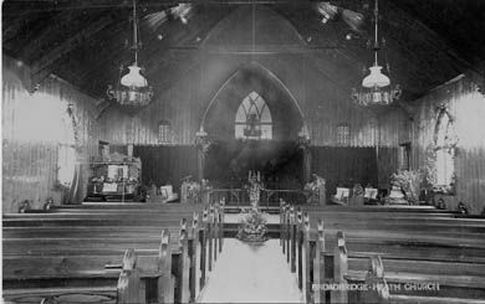 A Mission Church of iron and wood was licensed in 1904 and was used until 1957 when it was declared unsafe and demolished. 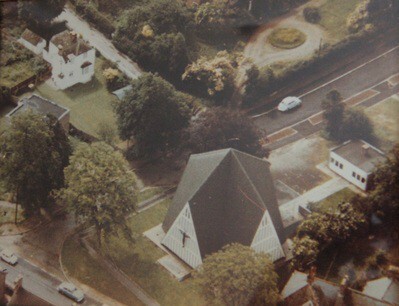 Between 1957 and 1963 Church services were held in the Village Room in Wickhurst Lane. The present Church of St John (Apostle and Evangelist) was dedicated by the Bishop of Chichester, Dr Roger Wilson on November 2nd 1963. The architect of the new church was James Ralph. The building is basically of a steel structure and lined with wood. It is essentially tent-shaped, reflecting the “Tent of Meeting” often referred to in the Old Testament. Its dominant structure stands for Majesty and the Power of God and yet it is a small intimate building in which the people of God can meet together in fellowship. The New Hall is a timber-framed building which was generously funded by members and local and worldwide partners. 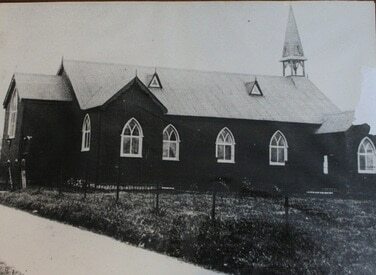 It was opened in September 2008 by Bishop Lindsay Urwin. The Parish of Horsham is in the Diocese of Chichester and the Horsham Rural Deanery. The Horsham Parish consists of four Churches representing a range of church traditions. St Leonards, Holy Trinity, St Mary’s and St John’s. Each is served by its own stipendiary Vicar, and the Team Rector is currently based at St Mary’s in the centre of Horsham. The Parish operates a devolved model of ministry both in terms of decision making and finance, with each Church being largely self governing through its District Church Council. The ordained staff, and church wardens from each church together make up the Parish Parochial Council. The Team model provides a vehicle for working together as much as we can – principally youth work and marriage preparation. We have united services occasionally and we’ve done a Horsham town mission together.